In 1981, when the Dodge pickup and Ram badge first applied to the truckmaker's heavy-duty trucks, a 12-inch screen came from Sears. Color wasn't necessarily a given, either. 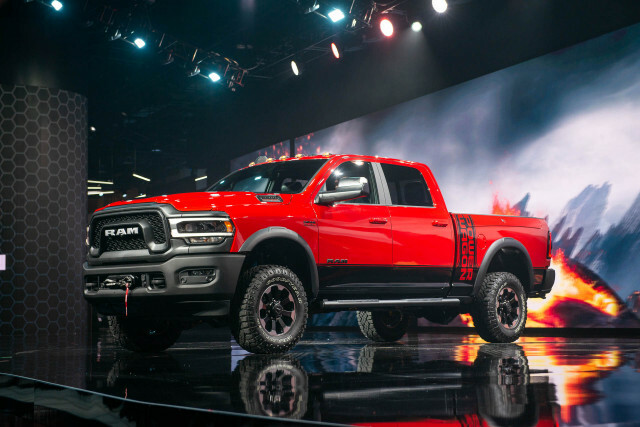 A lot has changed over the four decades and five generations that Dodge (or Ram) has offered a heavy-duty three-quarter or one-ton pickup to the masses. The 2019 Ram Heavy Duty pickup that arrived Monday is no exception. Although Sears is gone, the Ram HD 2500 has remained. The big-rig truck attacks new buyers with compelling equipment at the corners: The Tradesman work truck is refreshingly simple, the high-trim Limited rivals first-class luxury travel, and the new Power Wagon is a trail bruiser with hardware bona fides. When it goes on sale this spring, the Ram HD pickups will replace the current heavy-duty line, which was introduced in 2010. Unlike the new 2019 Ram 1500 pickups, officials say there won't be overlap between the two generations of heavy-duty Ram pickups—new trucks will replace old trucks on dealer lots. 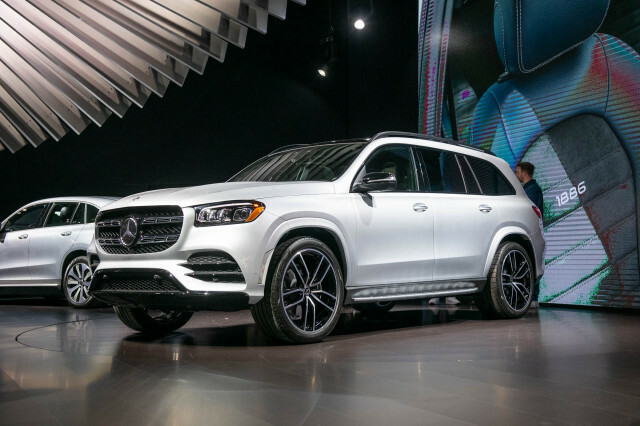 The trucks will be available in two-door Regular Cab; four-door Crew Cab; and longer, four-door Mega Cab configurations with a 6-foot-4 or 8-foot bed. Regular Cabs can only be fitted with an 8-foot bed, Mega Cabs only get 6-foot-4 beds. Rear-wheel drive is standard on all trucks, except on Power Wagons, which are four-wheel drive only. 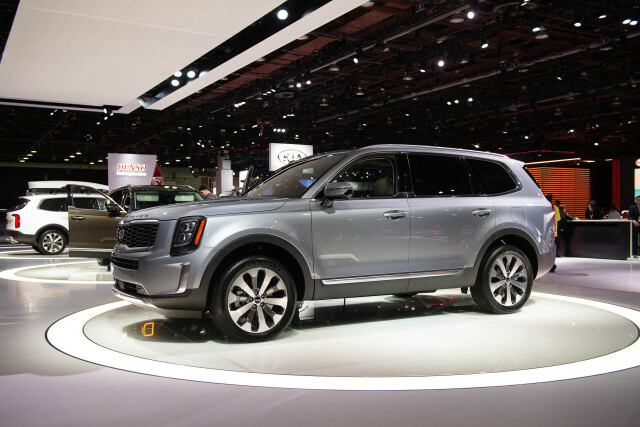 All trim levels offer four-wheel drive as an option. 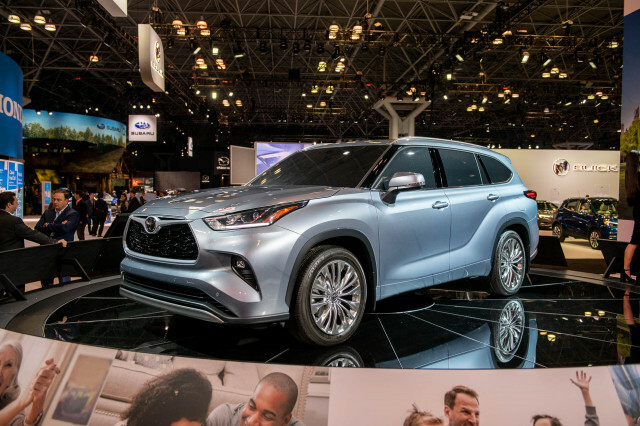 All trim levels are available as 2500 single rear-wheel, three-quarter ton pickups; 3500 single rear-wheel, one-ton pickups; or 3500 dual-rear wheel, one-ton pickups; except the Power Wagon, which is 2500 level only. More than 98 percent of the Ram Heavy Duty's new frame is high-strength steel, according to the truckmaker. 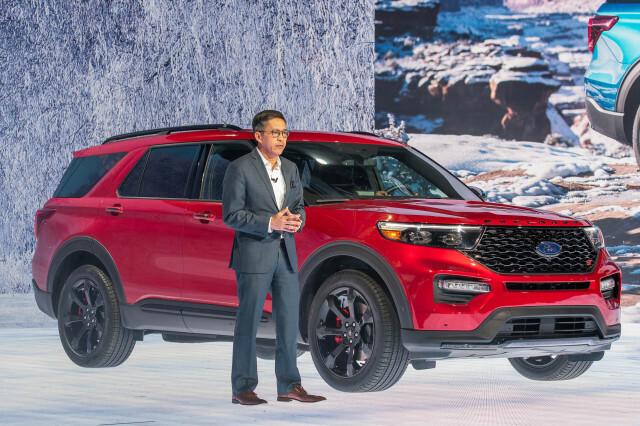 Lighter weight material in the frame, hood, and powertrain have shed more than 140 pounds from the truck's overall weight. Most trucks' wheelbases are incrementally shorter than the models they replace, although their overall lengths are up by about an inch in popular configurations. 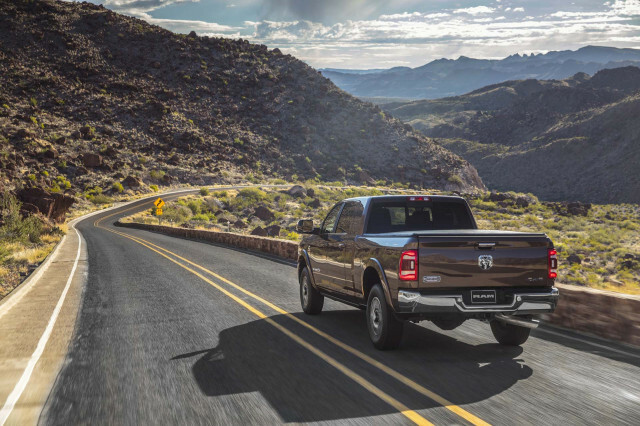 Like the outgoing pickup, the new Ram Heavy Duty will be powered by a 6.4-liter V-8 gas engine as standard, or a 6.7-liter turbodiesel inline-6 as an option. The Cummins-built turbodiesel is available in two tunes: with 400 horsepower and 1,000 pound-feet of torque as an option, or 370 hp with 850 lb-ft as standard. 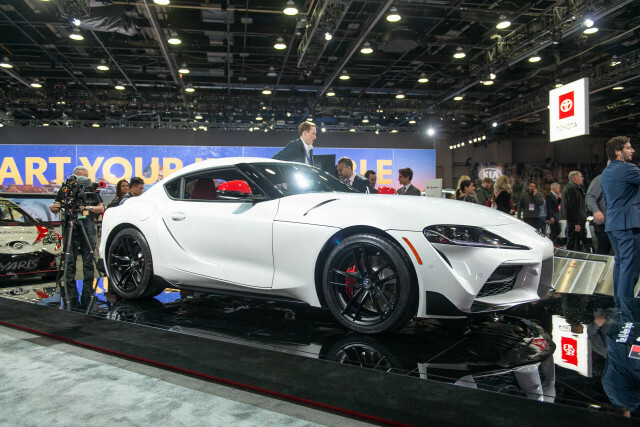 The 6.4-liter gas engine, which is more common, makes 410 hp and 429 lb-ft, the same as last year. 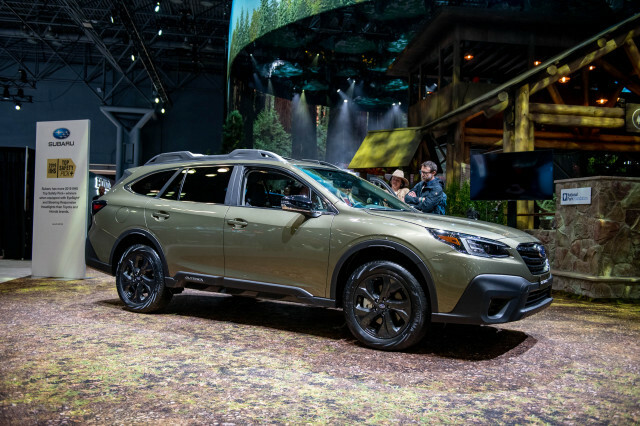 The 6.4-liter gasser gets a new 8-speed automatic transmission, the turbodiesel sticks with a Aisin 6-speed automatic that presumably can withstand the enormous torque without twisting into a pretzel. Like its predecessor, the new Ram HD rides atop a coil spring suspension with an optional load-leveling rear air suspension. 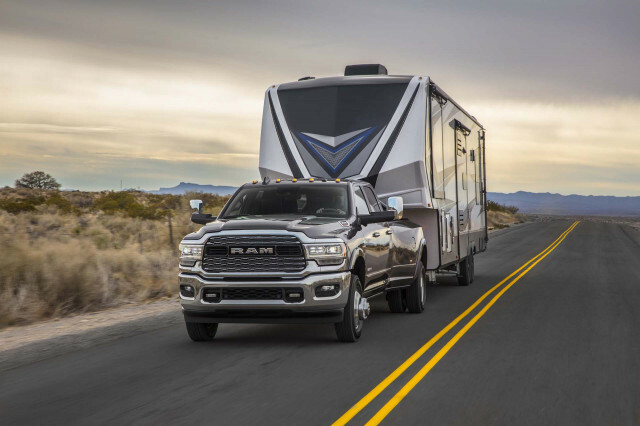 The shocks are tuned for better ride quality, according to Ram, and the cabins feature active noise cancellation to further quell nasty roads. 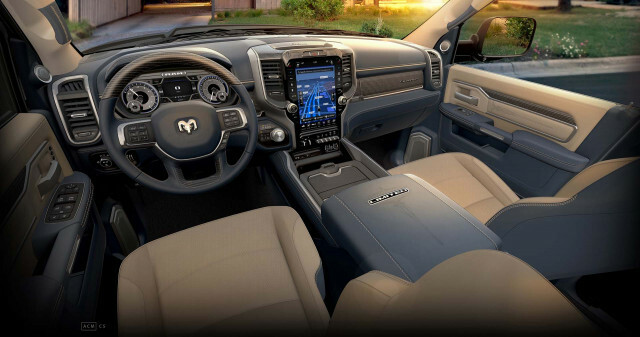 The new heavy-duty Ram trades on its plentiful options availability, including a 12-inch touchscreen that's optional in Power Wagon, Laramie, Laramie Longhorn trim levels, and standard on Limited-trimmed trucks. That's not the only creature comfort available: up to 17 speakers can fill the cabin with audio, a surround-view camera system is available on most trim levels, leather upholstery on top trims, rugged fabric with tire-tread accents on Power Wagon trucks, and an appearance package can fit 20-inch wheels on some trucks are just some of the new features. The new Ram's focused on the fringes for heavy-duty buyers: Tradesman trims are beg to be washed inside and out with a hose for work detail; the Power Wagon's standard off-road gear including a winch, Bilstein Shocks, disconnecting stabilizer bar, Wrangler Duratec AT tires on 17-inch wheels, and skid plates speak to its capability; the Limited and Laramie Longhorn trucks have more leather than any of its competitors inside. Forward-collision warnings with automatic emergency braking is available on the Ram HD for the first time this year. 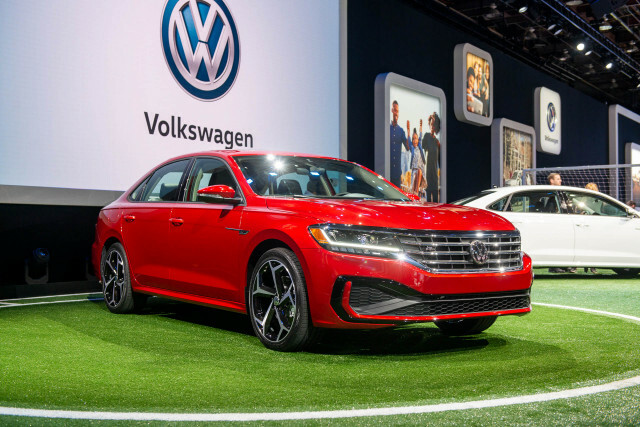 It's part of a safety package that includes adaptive cruise control, blind-spot monitors, and LED headlights that's available on all trim levels. 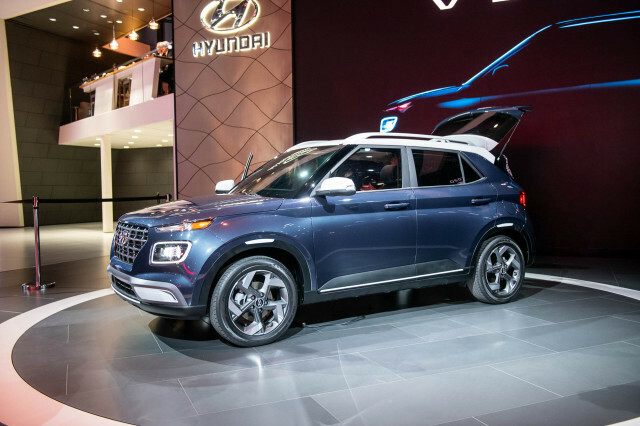 Other features such as towing cameras, snow-plow prep, in-bed storage boxes, and fifth-wheel towing hardware are offered on most trim levels.